We found JustDreamweaver.com to be outstanding. Their Technical Assistance team is quick and responsive. 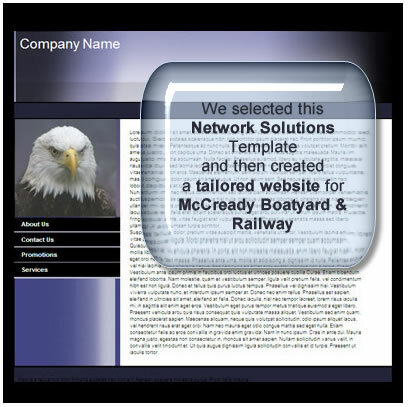 TCM was able to design, construct and provide copywriting services for a 10-page website within one month. Thieme Creative Media is creating results-oriented websites for companies and nonprofits around the country. In our current portfolio, you'll see that we've designed and developed websites for a private investigation firm, 5-time triathlon world champion, custom homebuilder, herbal vitamin online retailer, recreational business conglomerate and an antique specialty shop. Some website clients wanted a custom static, medium-sized site. Some wanted the additional sophistication of integrating PHP and ColdFusion technology. Shopping carts. Some website clients want to be online, but have a limited budget. We have created websites using the web hosting company's own proprietary templates, working with a purchased website template from companies like JustDreamweaver, where all templates are original Thieme Creative Media designs. We take what the client can provide e.g., suitable images, editorial content, and develop and launch the entire website, following client approval. Many times, the client will not have any idea of how to write good editorial content that will reflect well on the client's business priorities. Additionally, they not know anything about their Web Hosting Company. What is "User ID" AND "Password" for server access? We spend time to sort out and document all those details which will have long-term benefits to the client. Depending on total hours for the website design project, costs could range from $2,000 to $40.000. That's right. A five-bedroom house costs more to build than a one-bedroom house. Between two full-time seasoned partners, and a bullpen of Subject Specialists on call as needed, we are a reasonably priced alternative to larger-staffed companies. We keep our overhead down while providing a wealth of experience at very reasonable rates. 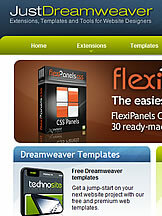 We work daily in Adobe's Dreamweaver, Fireworks, Photoshop, SnagIT and related software utilized by serious webmasters. When needed, we assemble programming talent for PHP, Cold Fusion and other web back end programming projects. We handle daily website content management for clients. They find an external web design company an attractive alternative to maintaining a website with internal staffers. Overall, we bring a unique marketing perspective to the creation of a company's website. What are we trying to accomplish? 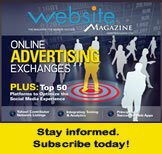 How does the website complement an organization's overall marketing strategy?